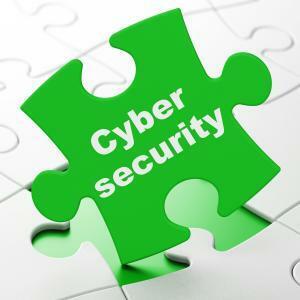 It’s easy to believe that cyber criminals are not interested in your business. Because you’re not a big household name, or don’t have thousands of staff across dozens of locations. Sadly, that hasn’t been true for some time. These days, cyber criminals don’t go after specific targets. Instead, they release malware and other bad software into the wild, seeking out easy targets. Most businesses are a lot more hackable than they realise. And the consequences are huge… If you are hit with something like Cryptolocker, you can get locked out of your devices and data for days. It takes a lot of time, effort and often cash to get back to business as normal. HERE’S A BOLD CHALLENGE FOR YOU. I’M CONFIDENT THAT IF I WERE TO VISIT YOUR BUSINESS TODAY, I’D FIND A WEAKNESS IN YOUR IT SYSTEM WITHIN JUST 57 MINUTES. I call this our 57 minute Data Security Challenge. I bet I can uncover a way to get into your system, or an unsafe working practice. All I’ll do is ask you some questions and have a quick look at your computers, and the systems your staff are using. You see, cyber criminals are always looking for ways into computer systems, and countless business owners make it really easy for them. Just having anti-virus software in place, even if it’s really good, simply isn’t enough in 2018. We have a downloadable guide which is packed with questions you may have about this, how the hacker may get in. Once you’ve read the guide call us on 01752 546967 to book your assessment. If you want to know more, download our guide by completing the form below. We will send you 2 educational emails every week.